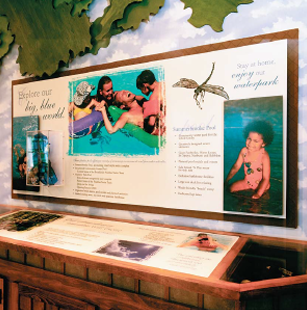 Broadlands Nature Center - Marketing Specifics, Inc.
A 1,500-acre masterplanned community, combining modern living and an active lifestyle within a natural environment, was our vision at Broadlands Nature Center. 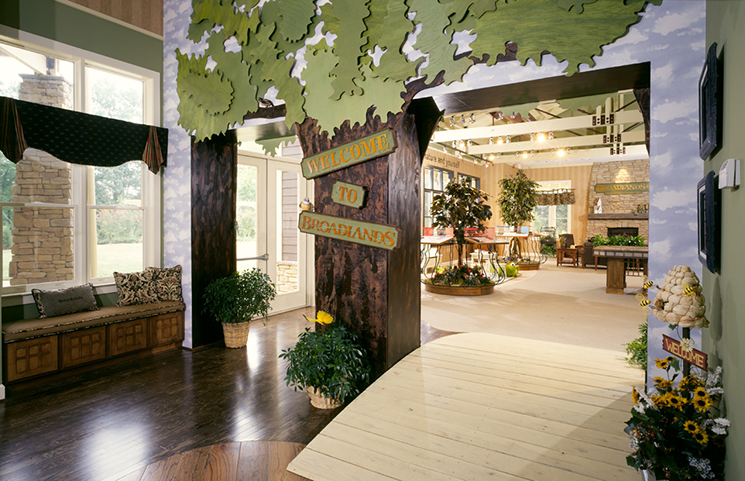 The nature center which serves as a community gathering place, as well as a sales environment, blends nature with discovery. The colors and dimensions of the trees, birds and whimsical animals, as well as the eye-catching graphics, are the highlights within this selling environment. 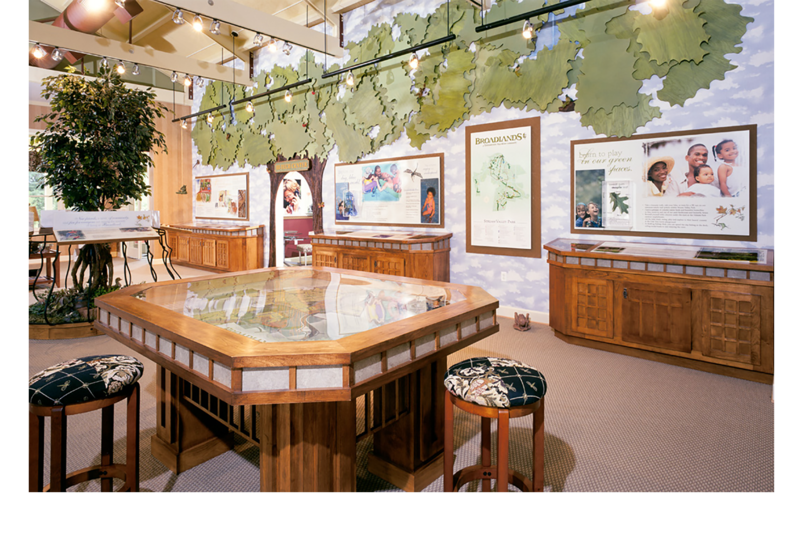 Broadlands is a place for children and adults to learn more about the community, its activities and the surrounding nature. 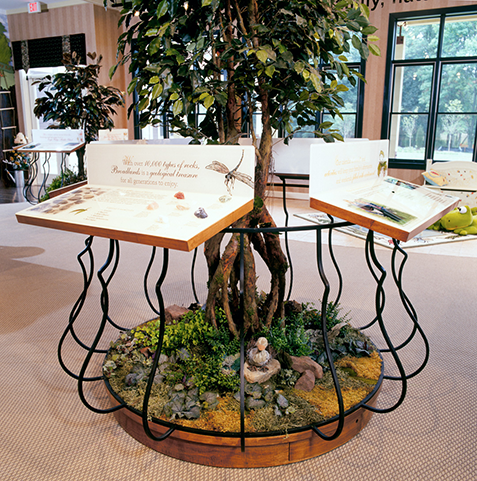 This setting is truly a place that has been designed to fit its needs; to reconnect with family, nature and yourself.